Here at Care 4 Tots, our journey with the Nature Explore program began with our sincere belief that children learn through play! We were adamant about nurturing every aspect of the developmental process within the child, and we could achieve this through Nature Explore. 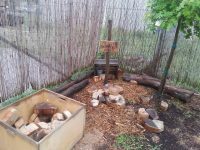 Since having the Nature Explore Outdoor Classroom, both the directors and teachers have worked together, keeping the concept in mind, that children learn everywhere and at all times. Using this, we were able to choose the most age appropriate materials that will develop and inspire creativity, motor and mobility skills and promote physical activity. 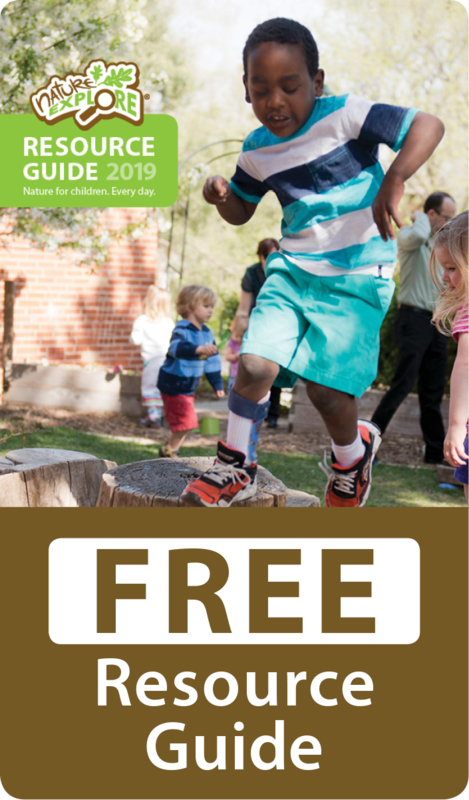 It will also provide the children with the opportunity to use their imagination through imaginative play, experiencing gardening and exploring different natural materials. It will also spark a sense of wonder and start the connection between our kids and nature. 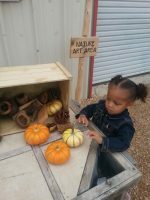 Taking into consideration that all of our children come from different backgrounds, we realized that all of our children are not able to go outside and explore once they were at home. 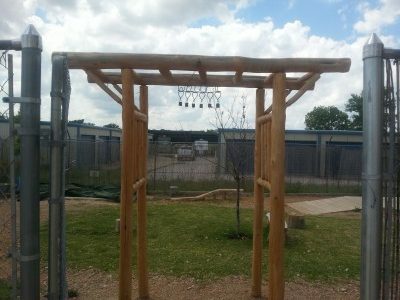 With that in mind, the Outdoor Classroom would be completely dedicated to increasing the quantity, quality and benefits of excellent outdoor experiences for them. The journey of the Nature Explore Outdoor Classroom was not an easy one. Starting with our teachers. They were not quite sure on how to implement our new Outdoor Classroom within their lesson plans. They participated in Nature Explore workshops and had an opportunity to be exposed to the outdoors themselves. This opened up various avenues of approach for them, allowing them to establish great lesson plans full of indoor and outdoor activities. Needless to say, our teachers are more than confident and no longer have hesitation when teaching in the Outdoor Classroom. Although we had numerous amounts of parental involvement, we were faced with another big challenge. The parents were unsure about their children always “playing” outside. They didn’t understand why their children were not inside the classroom, in a structured environment. “How are they learning?” Understanding this concern, our teachers and directors, constructed the Grand Opening of the Nature Explore Classroom. 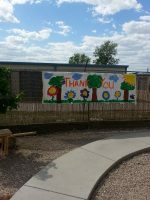 Here the teachers, parents and children were able to experience the Outdoor Classroom and see how the children were learning and enjoying their new environment. 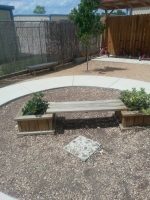 Prior to the Grand Opening of the outdoor classroom, we needed help to set up our explorative areas. We could not do this without the help of the City of Harker Heights community of workers, the U.S. Army soldiers from 3/395 Armor Battalion, Hidden Falls Nursery (who donated trees for our area), Little Caesars Pizza (for pizza boxes to make stepping stones) and an unprecedented amount of parent involvement. Last, but not least, to the Workforce Commission of Central Texas for introducing us to Nature Explore. 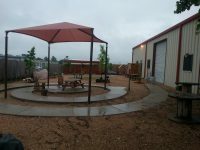 With all this help, we were able to turn an ordinary playground into a hands-on, child-led outdoor learning environment. As directors, we’re proud of our teachers in all their accomplishments; parental awareness and the continuous high standards they continue to set. Through all of our great triumphs, this journey is far from over. We continue to strive for greatness and to improving our Outdoor Classroom and for inspiring lifelong learners and lovers of nature.